iSoftBet is one of the finest games developers due to its extensive experience in the given area of business as well as its great portfolio which includes more than 400 titles. The company goes above and beyond to make sure that its clients and partners receive the best service possible. iSoftBet gives operators an advantage which comes in the form of innovative technologies, excellent games, various management programs, and payment processing solutions. The company knows how to operate in a heavily regulated market by adhering to rules and legislations issued by the authorities. It has obtained the gaming license from governments of Italy, Belgium, and Malta. The clients of iSoftBet always get the latest and the best products related to all aspects of online gambling. So, if you want to be known as one of the most progressive and prosperous operators, make sure that you have iSoftBet’s products on the menu. As for the players, they can visit an online casino developed by iSoftBet and try all of its games, especially the magnificent slots. iSoftBet specialises not only in creating top-of-the-crop online casino games, it is also engaged in the development of various games for Facebook. 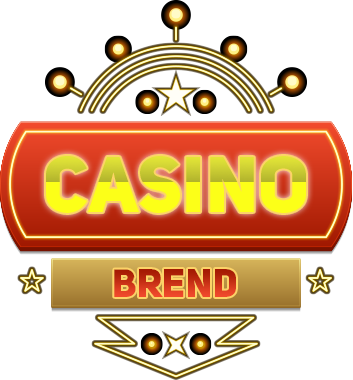 The company is famous not only for great slots; it also provides other casino games like blackjack, poker, and roulette. However, it’s the slots which make iSoftBet stand above the crowd in the gambling business. Most of them are 5 reel slots with a variety of pay-lines. iSoftBet is also known for creating decent bingo and lottery games which are filled with exciting features. Log into your Facebook account and try these games for yourself. Moreover, iSoftBet has an impressive collection of casino games which can be played on mobile devices. iSoftBet is known in the gambling world mostly because it produces one of the best slots in the world. In order to create slots of such high quality, the company cooperates with a big number of well-known program developers and brands. For instance, it worked together with ZAG to create such popular slots as Lady Bug Adventures and Kobushi. Other famous titles include the Basic Instinct and the 24 slots which were made in a close cooperation with Studio Chanal and Twentieth Century, respectively. You can also enjoy casino games with such recognisable titles as Rambo, Nacho Libre, Beverly Hills 902010 etc. The slots were created due to close cooperation with such companies as Orion Pictures, PPC, Paramount Pictures etc. All in all, the iSoftBet games can be distinguished by their artful graphics, realistic visual effects, multiple bonuses, and carefully crafted symbols. iSoftBet is famous not only for its gorgeous branded games but also for the slots which you can purchase or play for free at certain online casinos. You may recognise such slots as Ninja Chef, Super Fast Hot Hot, Spooky Family, Best Things in Life and others. Those who want to experience the phantasmagoric world of Carol’s Alice in Wonderland in its casino interpretation should not miss the Alice Adventure slot. If you want to learn the secrets that all illusionists try to hide and win big money along the way, try Illusions 2. If mysticism is your thing, start playing BeWitched and let your witch enrich you. Fans of slots with enormous progressive jackpots can try their luck at Super Multiitmes Progressive and scoop one of the three massive jackpots. Players can also enjoy mobile versions of games developed by iSoftBet which they can play on all portable devices that work on Android and iOS. The most popular titles include Rambo, Red Dragon Wild, Ultimate Super Reels, Basic Instinct, and Super Multitimes Progressive. All mobile games were developed using HTML 5 markup language; therefore, there is no need for any downloads – they can be accessed straight from the mobile browser. All those who are engaged in online gambling are definitely familiar with at least one product created by iSoftBet since it is responsible for the development of the most popular online slots. The company has valid licenses issued by the European gambling regulators which ensure that its business activities comply with all corresponding legislations. Rookie players should definitely test their skills in some games by iSoftBet because they are the shining example of how the gambling product should look like. The mobile games will also give you an unforgettable playing experience.